Swiss provider of rights of residence Hapimag has acquired a new city residence in the heart of Edinburgh, within walking distance of the Royal Mile and the shops on Princess Street. 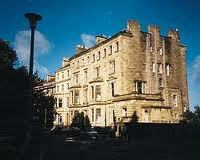 The Edinburgh Residence has 29 suites and was converted for use as a timeshare holiday residence in 1996. Hapimag is now taking over the operating activities and existing contracts with around 900 timeshare members. Since no conversion work is required, Hapimag members can already take advantage of the new location. Hapimag has eleven city residences in some of the most popular locations around the world, including London, Paris and Berlin. The most recent addition was the British Hotel city residence in the historical Neumarkt area of Dresden, Germany, which opened in November 2010. The Swiss company recently reported more than one million overnight stays during the 2010 summer months, with a high occupancy level of 86.3 per cent, and expects a favourable 2010/11 winter season with a similar level of bookings as in the previous winter.